 Your willpower is admirable, even enviable, Capricorn! For you, no diet will be a problem since you know how to discipline yourself. But if we have to choose one that’s effective and comparatively easy, it should be the Grapefruit Diet. First of all, it’s tried and true, dating back 70 years. Second, you enjoy overcoming a challenge, and eating grapefruit is a real challenge for many. And third, you are resilient enough to cope with it. Just check with your doctor if you can eat the acidic fruit before you start dieting! Set the tone for the whole day – ideas for Capricorn!